A new special report from the Intergovernmental Panel on Climate Change (IPCC) is waving a red flag on the effects of climate change. This report, written by over 90 scientists from 40 countries, warns that we need to make large-scale and rapid changes. Scientists say we must limit average global temperature rise to no more than 1.5°C (2.7°F). This temperature increase is considered the “tipping point” for many of the most severe threats posed by climate change. It is also an ambitious target given our current rising temperatures. So far, average global temperatures have warmed about 1°C (1.8°F) since pre-industrial times (the second half of the 19th Century). According to the IPCC, without accelerated action, the planet will reach the 1.5°C threshold as early as 2030. This temperature increase would escalate the risk of extreme drought, floods, wildfires, and food shortages, impacting tens of millions of people. While half a degree difference might not sound like much, that shift will have devastating effects on our plants and animals, coral reefs, Arctic summer sea ice, and water availability. Every bit of warming matters, with higher temperature changes leading to increased risk of long-lasting or irreversible changes. The warning is clear, but we still have a chance to put into place the “disruptive innovation” needed to change course if we act now. Global climate change must be addressed through both effective state and federal policy and our own individual actions. By reducing our reliance on fossil fuels and switching to clean, renewable energy sources, we can mitigate the worst effects of climate change before it is too late. Our personal choices in areas like home energy use, travel methods, altering our diet to be less reliant on land- and energy-intensive animal products, and developing smart, green infrastructure throughout our communities can all contribute to a global shift in the right direction. Get some tips on how to reduce your impact. There will also be an opportunity soon to oppose recent federal proposals to weaken emissions standards for methane—we’ll keep you posted! This entry was posted in Climate on October 11, 2018 by Mass Audubon. Mass Audubon’s annual fundraiser, Bird-a-thon took place in early May. Bird-a-thon 2018 participants have been sharing their photos and memories with us. Here are some of our favorites. 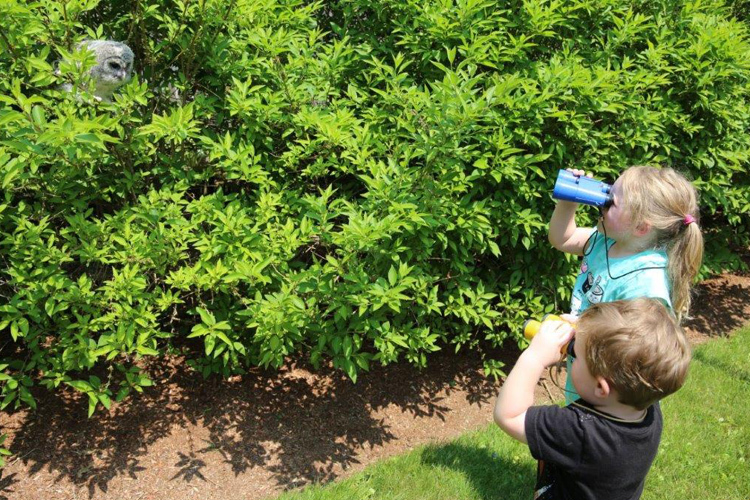 Gabby, Age 4, and Jack, age 2, honorary members of Team Blue Hills, view a Barred Owl fledgling. 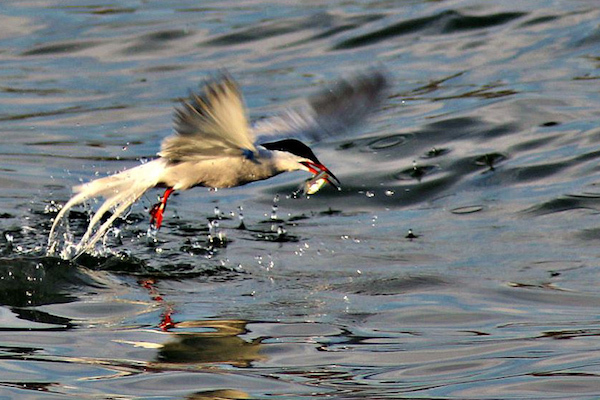 John Zmud of Team South Coast Sanctuaries caught this Common Tern mid-meal. Members of Team Stony Brook enjoyed the sunrise at Quabbin Reservoir. 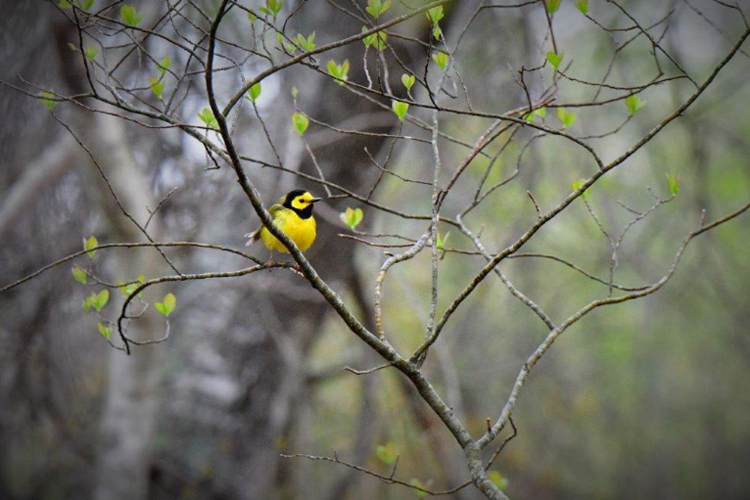 Devin Griffiths of Team Moose Hill always gets great shots, like this photo of a Blue-Winged Warbler. Team Habitat spotted this Hooded Warbler. 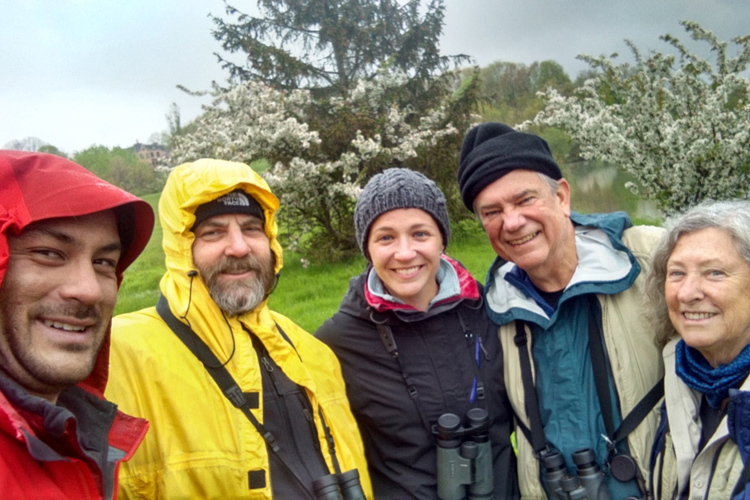 The rain couldn’t stop these birders from Team Broadmoor from getting the most out of their trip to the South Shore. 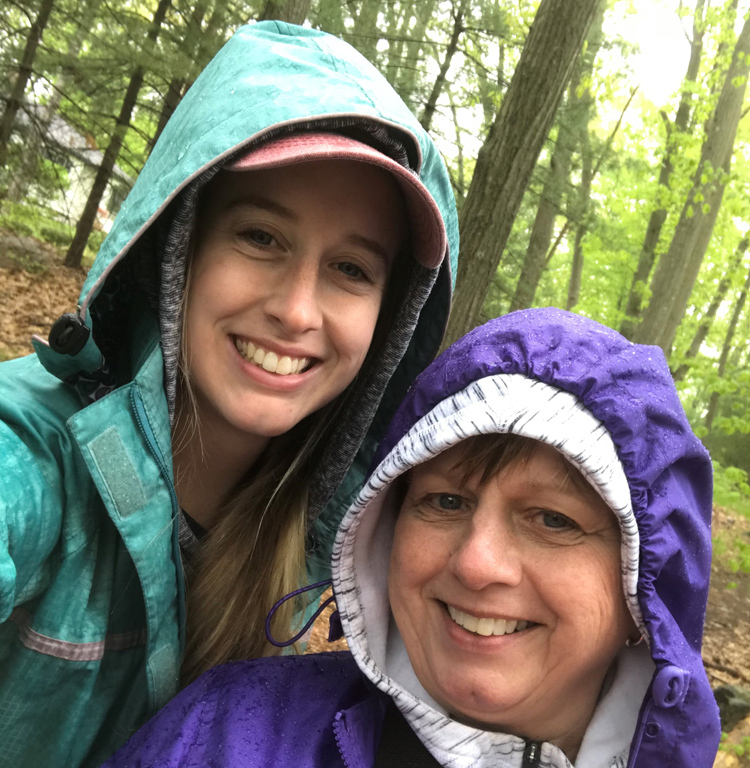 Mother and Daughter duo Lindsay and Susan got to many birding spots in Middlesex County. 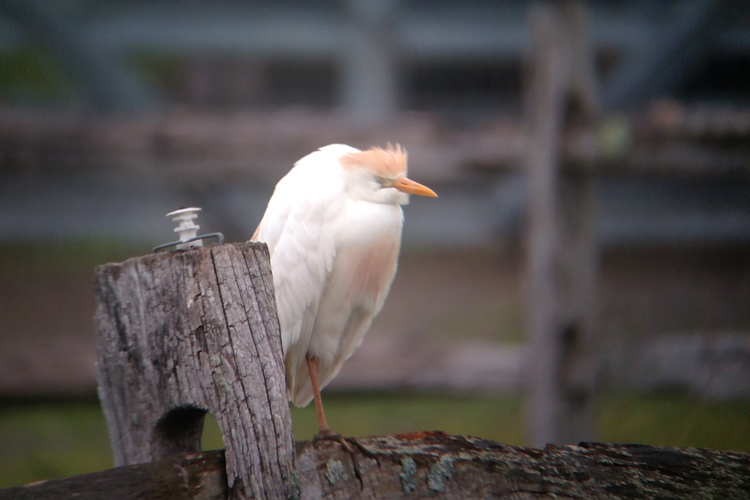 This Cattle Egret, spotted at Cherry Hill Reservoir, didn’t look thrilled about the rain. View more Bird-a-thon 2018 pics in the event photo album. Want to add your Bird-a-thon pictures? Email them to us. The birding may be over, but the fundraising competition is still going strong*. Many teams are close to reaching or surpassing their goals. You can support a Bird-a-thon team or participant by making a donation. Funds raised through Bird-a-thon support nature education, land and wildlife stewardship, and so much more. Want to participate next year? Join the Bird-a-thon mailing list to be alerted when 2019 registration opens. * Team and individual fundraising prizes are announced in late June, based on fundraising results as of June 15, 2018. This entry was posted in General on June 8, 2018 by Mass Audubon. Not all heroes wear capes. Some wear heavy binoculars that they “borrowed” from their father 20 years ago–or carry scopes around that are twice their size–or proudly display a well-worn Bird-a-thon t-shirt. 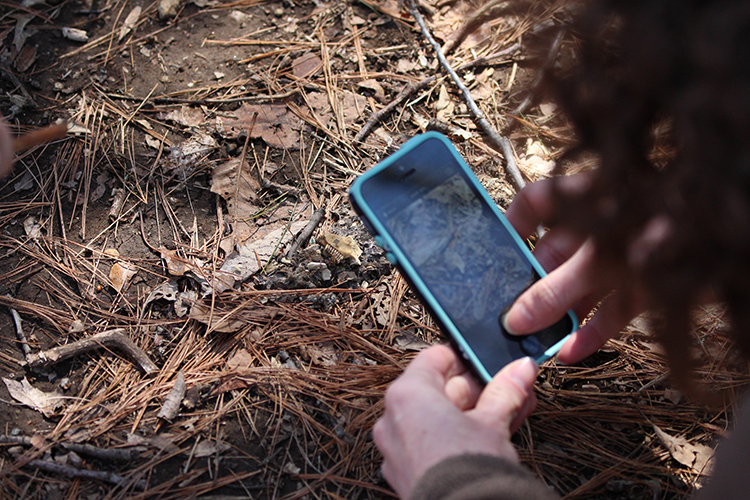 This past weekend, Bird-a-thon teams fanned out across the state to focus their eyes, ears, and lenses on nature. And now that the birding is done, we wanted to take a moment to thank all of our Bird-a-thon participants and supporters. 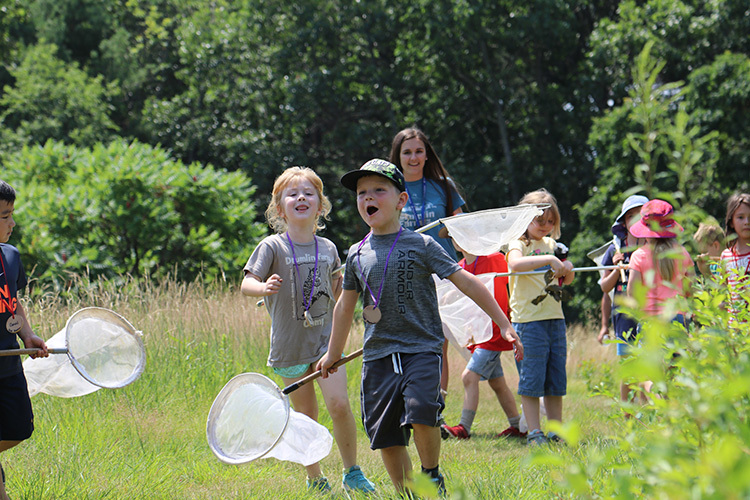 Bird-a-thon, is not only an opportunity to focus on nature, but also a celebration of the hard work team members have done to raise essential funds for Mass Audubon wildlife sanctuaries and programs. 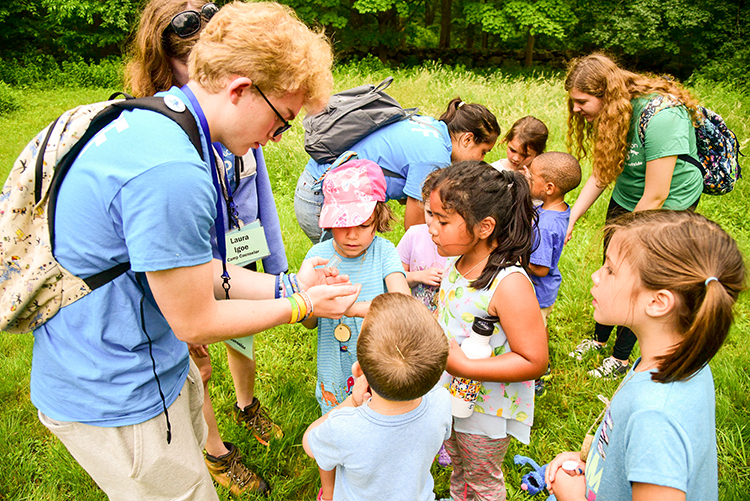 Provide program materials for campers, students, and aspiring naturalists of all ages–to build communities that value, appreciate, and protect nature. Support the work of dedicated staff with expertise in community engagement and advocacy–allowing for quick responses to environmental challenges and opportunities. Manage land and wildlife based on the most current science available–keeping Mass Audubon sanctuaries healthy and vibrant for this and future generations. And while the birding portion of the event may be over, there is still time to make an impact—with or without a cape. Supporting Sponsor: ARE Demo & Excavation, Inc. 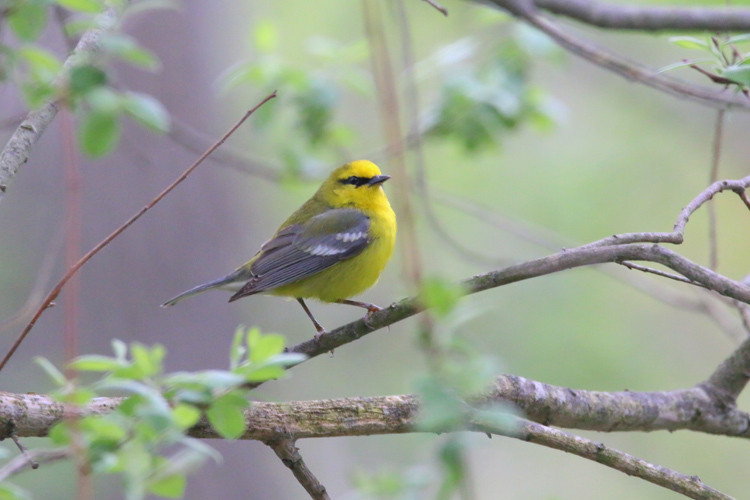 This entry was posted in Get Involved and tagged bird-a-thon, birdathon on May 14, 2018 by Mass Audubon. 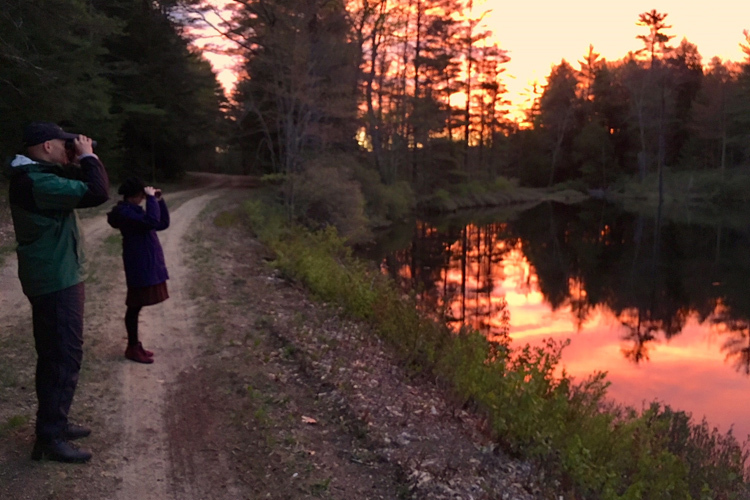 As the largest private landowner in Massachusetts, you may wonder why we continue to seek out additional open space to protect. When it comes to conserving land, we look at many characteristics of a property, especially if it contains priority habitat, acts as a wildlife corridor, or will be resilient in the face of climate change. We also look for property that protects or enhances habitat or visitor experience at existing wildlife sanctuaries. Three recent acquisitions exemplify how we take these principles and put them into action. There are 169 species of animals and 258 species of plants that are protected under the Massachusetts Endangered Species Act. These 427 native species are either at risk, or may become at risk, of extinction. In order to protect these species, we need to protect the land they are found on, which is deemed priority habitat. Success Story: The recent donation of 15 acres in Richmond added land that is deemed to be priority habitat for several Sedges (a flowering plant) and the Jefferson Salamander, and a critical connection for bears, beavers, and birds travelling to and from the Pleasant Valley Wildlife Sanctuary which abuts this property on the east. The linkage across open lands and occasionally through culverts under roadways that joins two or more areas of similar wildlife habitat is known as a wildlife corridor. Corridors are critical to allow for the movement of animals and survival of healthy animal communities. 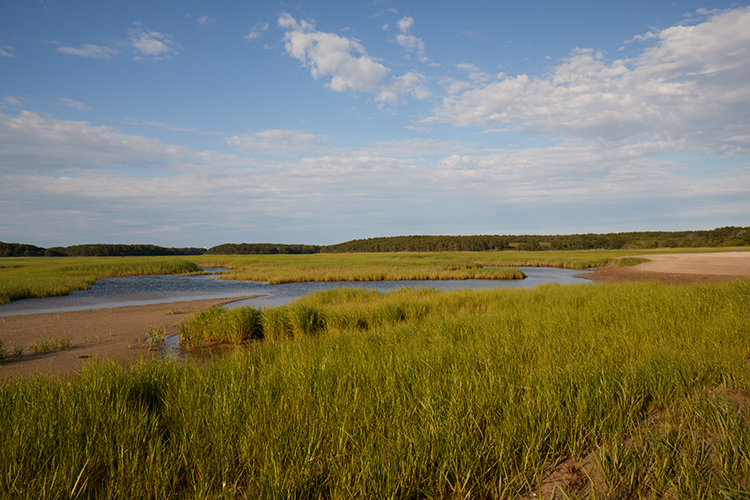 Mass Audubon works to link priority habitat to support the safe passage of wildlife. The conditions and habitats that enable animals to move and thrive are the same ones that enable people to weather storms, live off the land, and enjoy a constant supply of clean water. 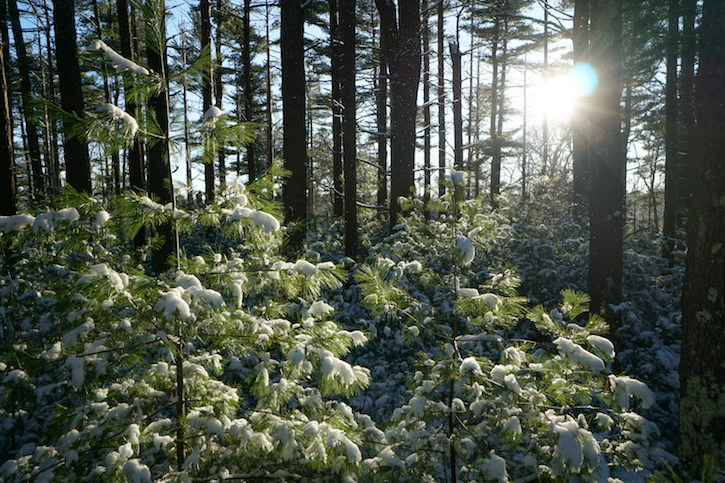 Larger, unfragmented tracts of forests help counter global warming, absorb precipitation into groundwater reservoirs, and provide for sustainable forestry. Success Story: We recently purchased 52 acres in Northampton that provide a wildlife corridor, connecting Arcadia Wildlife Sanctuary to the Rocky Hill Greenway in Northampton. Effects of climate change are moderated by complex topography, dense wetlands, and unpaved open spaces. Complex topography means a variety of elevations and a combination of forests, fields and swamps, buffers against climate change, giving most species a better chance to survive. Success Story: This spring, we added 120 acres of fields, forests, and wetlands to Lime Kiln Farm Wildlife Sanctuary in Sheffield. 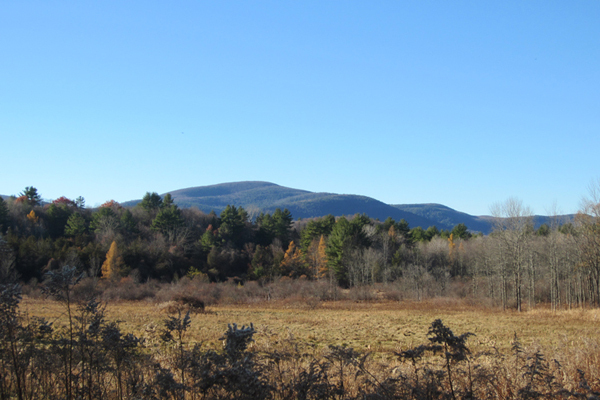 These acres add to the protected habitat and corridors for wildlife in the Housatonic watershed. The complex topography in this Sanctuary provides resilience against extreme changes in temperature and rainfall. These new additions to our wildlife sanctuaries will enhance visitors’ experiences with greater exposure to natural wonders and habitats. This entry was posted in Land Protection on April 23, 2018 by Mass Audubon. American Woodcocks are back! Even when spring arrives late, woodcocks still perform their remarkable sky dances. In March and early April, these fascinating, awkward-looking birds put on a mating display at dusk. The best part: it’s easy to view this display in any large brushy field, including some city parks. Keep an ear out for a woodcock’s sharp, nasal “peent!” from sunset to half an hour afterwards. The woodcock will take off after a few calls, wheeling and diving in the sky as their wings produce their signature twitter. Then, the bird dives steeply, its wings continuing to whistle as it falls to the ground to start over. To help you track down these enigmatic birds, here’s a list of Mass Audubon’s upcoming guided woodcock walks, plus some sites in greater Boston to look for them by yourself. Join a walk if you want some help finding woodcocks or just enjoy the company of a group of nature lovers. Experienced naturalists will make sure you don’t miss a peent! 1. 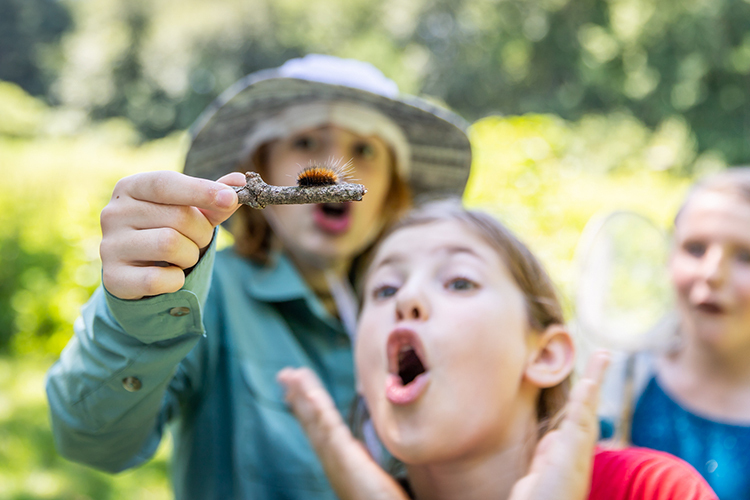 In Greater Boston: March 30 and April 6 at Broadmoor (Natick); March 31 and April 14 at the Blue Hills Trailside Museum (Milton); April 3 for adults and April 7 for teens at Drumlin Farm; April 8 at the Boston Nature Center (Mattapan). 2. On the South Shore: March 28 and April 4 at Birchwold Farm (Wrentham) with Stony Brook; April 7 at North River (Marshfield). 3. In Central and Western Massachusetts: April 4 at Broad Meadow Brook (Worcester); April 5 at Wachusett Meadow for families (Princeton); April 7 at Arcadia (Easthampton/Northampton); April 11 at Pleasant Valley (Lenox). 4. On Cape Cod: March 30 and April 14 at Long Pasture (Barnstable); March 30 and April 7 at Wellfleet Bay (Wellfleet). See the entire list of woodcock programs! This former landfill became a great birding site after it was covered with soil from the Big Dig and reclaimed by native grassland. Search for woodcocks along the northwest and southwest edges of the park and by the canoe launch. Park off of Circuit Drive. The best area is through the open area towards a softball field. Sometimes, woodcocks display in the sports fields off of Pierpoint Drive to the north. Most woodcocks are found by walking the path between Bullfinch Parking Lot (off of Acorn Park Drive) and the T station. Rock Meadow is best accessed from a small parking lot on the West side of Mill St. south of its intersection with Concord Ave. Walk the path into the adjacent field about 400 feet, passing the community gardens on your left. The woodcocks will be displaying on your right, but can be found further into the meadows as well. 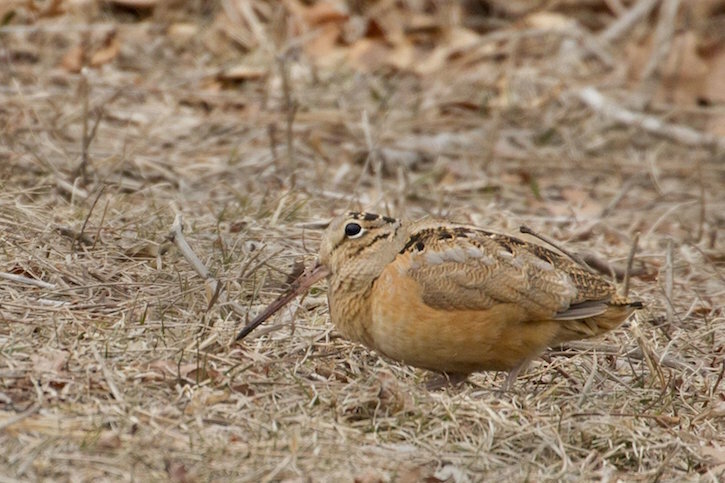 This entry was posted in Nature Notes and tagged birding, birds, woodcock on March 27, 2018 by Mass Audubon. Back in 1896, it was the passion and persistence of two Boston women who launched the modern-day conservation movement. When Harriet Hemenway and Minna Hall founded Mass Audubon to stop the killing of birds for fashion, they left a lasting impact on the environment and served as an inspiration for future generations. 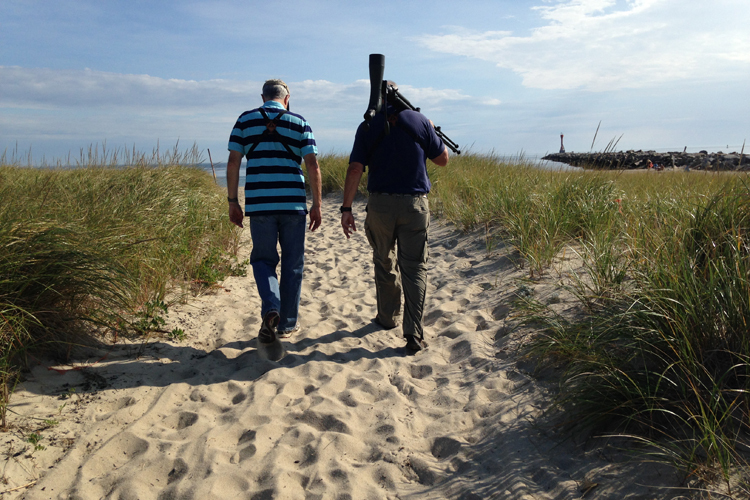 To honor their intrepid spirit, Mass Audubon has created the Hemenway + Hall Wildlife Conservation Award. This honor, which will be awarded annually, recognizes excellence in wildlife conservation and celebrates an individual or organization whose research and related ecological management successes have amply demonstrated and provided a significant and lasting wildlife conservation benefit. The inaugural recipient of the Hemenway + Hall Wildlife Conservation Award goes to Carolyn Mostello, a coastal waterbird biologist in MassWildlife’s Natural Heritage and Endangered Species Program (NHESP). Carolyn has devoted her career to restoring and protecting the populations of, most notably, federally endangered Roseate Terns, as well as those of Common Terns, American Oystercatchers, Common Eiders, and various other island nesting species off the coast of Massachusetts. Most recently Carolyn oversaw the restoration of Bird Island in Buzzards Bay. Rising sea level and erosion of the original seawall on the island turned the beaches into salt marsh and salt pannes. 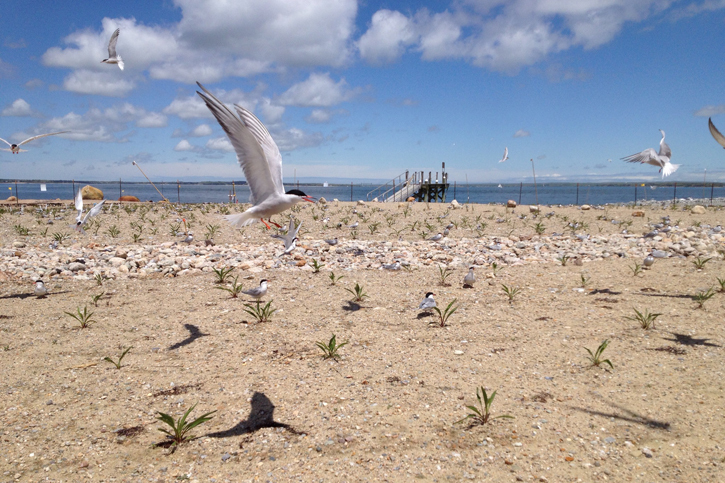 Common terns, who nested on the beach, were forced to move inland, displacing endangered Roseate Terns. Working with the town of Marion and colleagues in other private, state, and federal agencies, as well as the U.S. Army Corps of Engineers, Carolyn and her team restored nesting habitat for both bird species by raising the elevation of the island, removing invasive plants, planting native ones, and protecting the island from additional erosion by rebuilding the seawall. Carolyn Mostello’s work on these islands has been critical to the persistence of the North American Roseate Tern population. 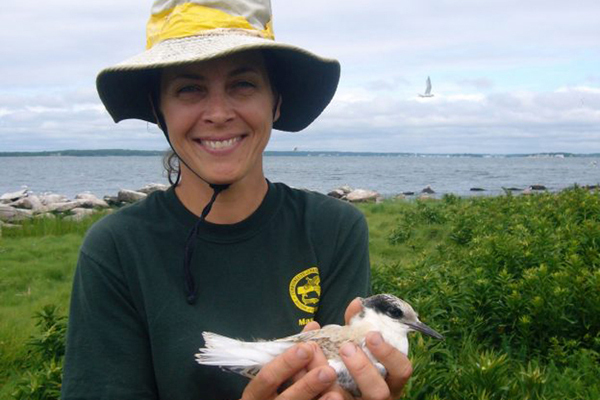 Due to her work and the work of others, Roseate Tern numbers at the Buzzards Bay sites have increased by 37% over the past eight years. Mass Audubon President Gary Clayton, who will make the award presentation at the Birders Meeting on March 11, notes that Carolyn’s important efforts on behalf of coastal waterbirds align with the legacy of the organization’s founding mothers. This entry was posted in General and tagged award, bird conservation, birds on March 6, 2018 by Mass Audubon. 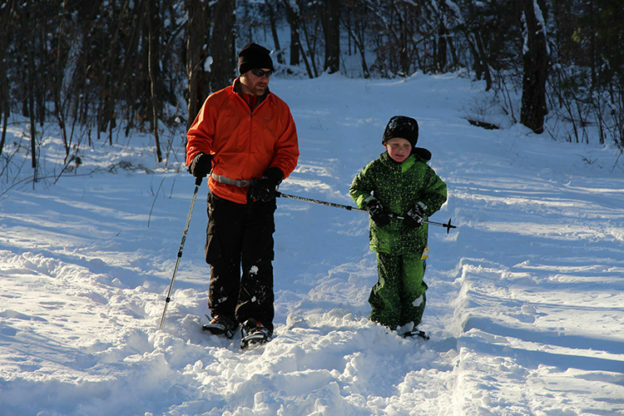 This entry was posted in Get Outdoors on January 20, 2018 by Mass Audubon.